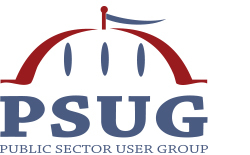 The Southwest Regional User Group (SWHEUG), which includes Arizona, California, Colorado, Nevada, New Mexico, and Utah is a HEUG/PSUG-facilitated online community. The conference is open to all employees of Higher Education and Public Sector Institutions. HEUG/PSUG members outside of this region are welcomed and invited to participate in this conference.